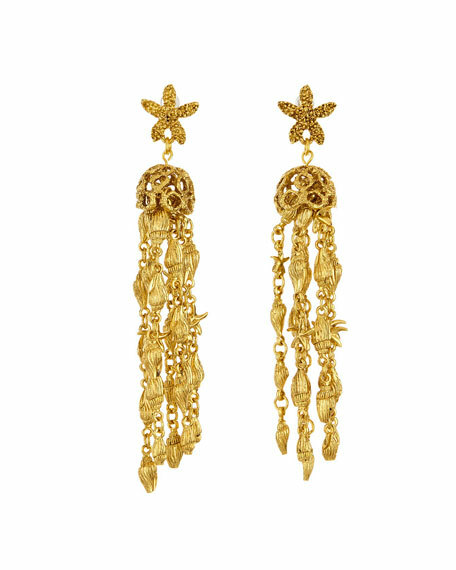 Seashell tassel drop earrings by Oscar de la Renta. Textured yellow golden pewter posts and hardware. Starfish posts with seashell tassel drops.